Operating a company requires a lot of time and skill. 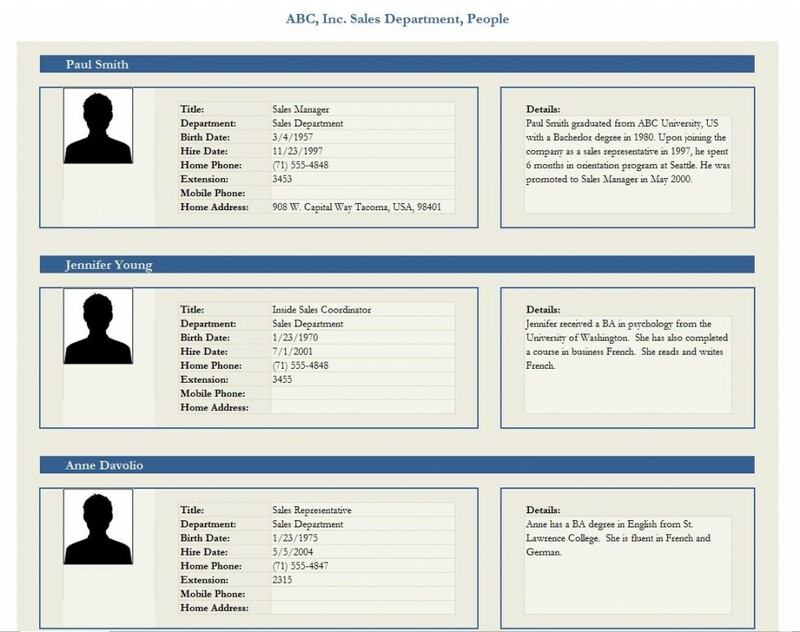 An area that needs current information that is accurate and up-to-date is profiles on employees. One excellent way to do this is by using an Employee Profile Template. Here are some great uses and benefits to this template as found below. One of the wonderful benefits to the Employee Profile Template is that each profile is straightforward. The template begins with the name of the employee. The company can decide whether the name includes a nickname or the full name. In fact, the template can clearly state what the employee would like to be called. Besides this, the department that the employee is at is also on the Employee Profile Template. After this, there is space for a birth date. While some may overlook this aspect, the reality is that a birthday is very important to many people. This template will help a company be aware of upcoming birthdays and can enable it to recognize an employee when his or her birthday comes up. Besides this, there is space for the date of hire. The longer an employee works for the company, the more valuable they become. In addition to this, employees value when they started to work at a company. In fact, some may see it as important as their birthday. This template enables them to be recognized. Other benefits to this template include information concerning a mailing address as well as phone numbers if an employee needs to be contacted while he or she is at home. Finally, the template can be downloaded for free on this site and may be customized to the specifics that a company desires. The Employee Profile Template is perfect for every business with employees. This template can save a company time and effort by having a form that can be used by management. Information can be added or subtracted in a timely manner, thus enabling the individual who entered the information time to focus on other tasks that need to be accomplished.